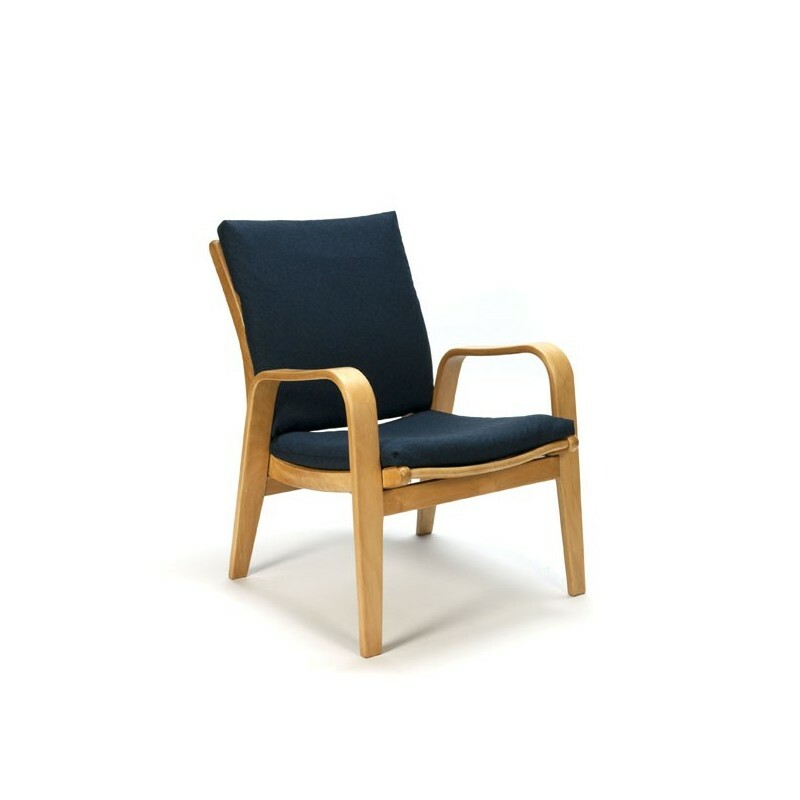 Vintage design easy chair designed by Cees Braakman for Pastoe in 1955. 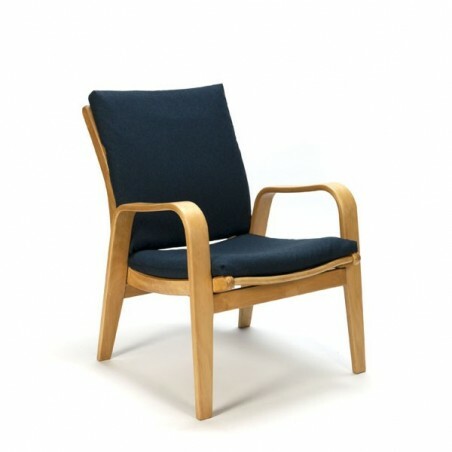 The chair has a dark blue trim (new fabric) and light wood frame. The condition is good considering the age, see the detail photos. The dimension is 43.5 cm SH / H 77.5 cm / 62 cm W.